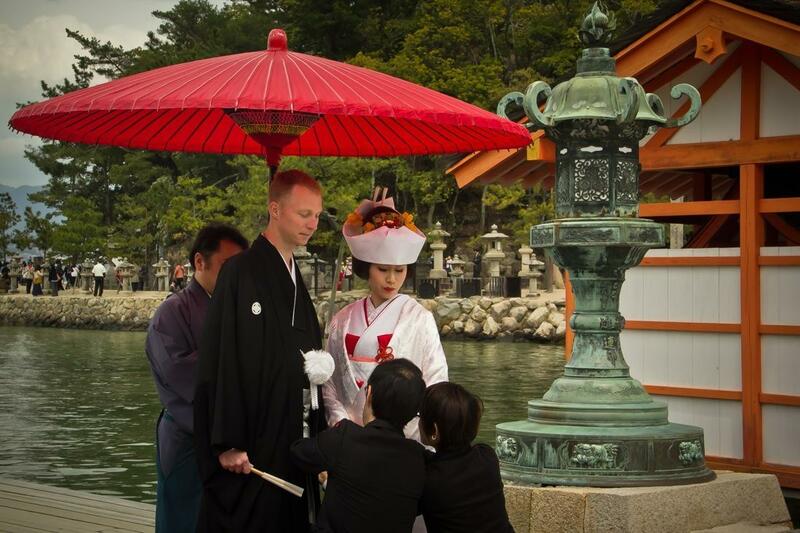 A sudden quietness fell on the Itsukushima Shrine, the highlight of Miyajima, together with the floating gate. I turned and saw the reason for this silent buzz. 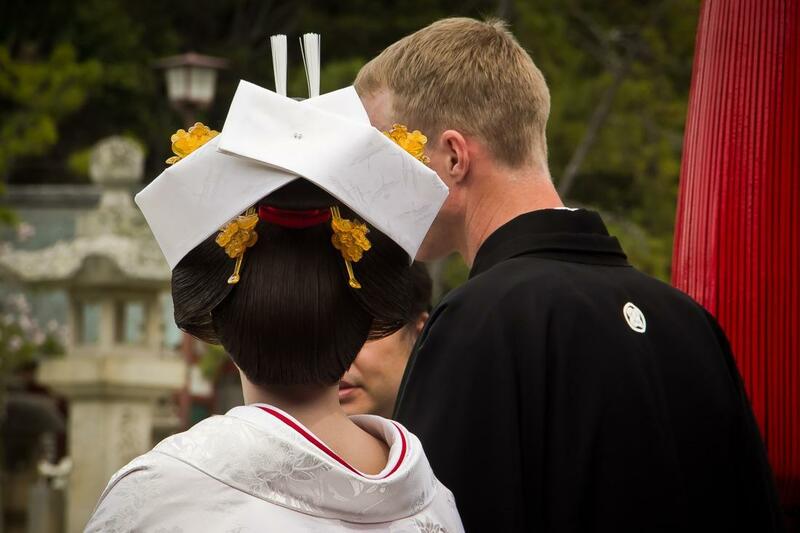 A couple was approaching, and we were witnessing a traditional Japanese wedding. 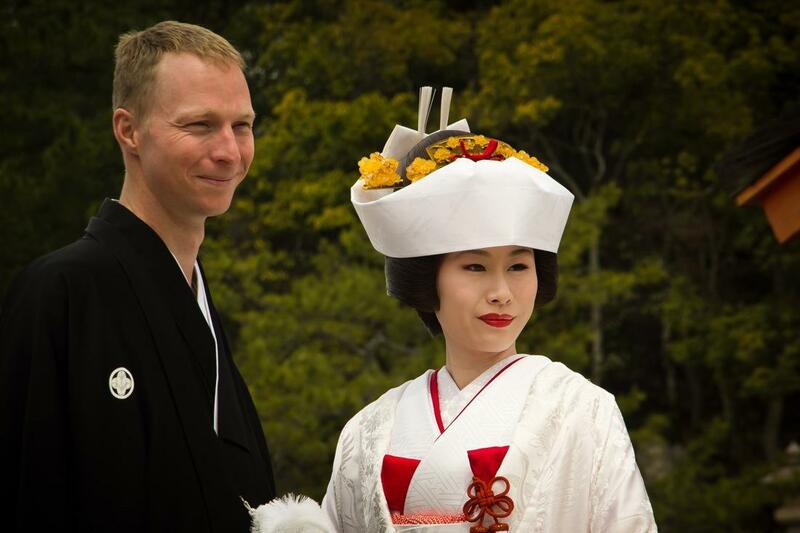 The mixed couple – a beautiful Japanese bride and a nice guy who might be British or American – approached slowly, surrounded by photographers and other people taking care of the choreography and costumes. 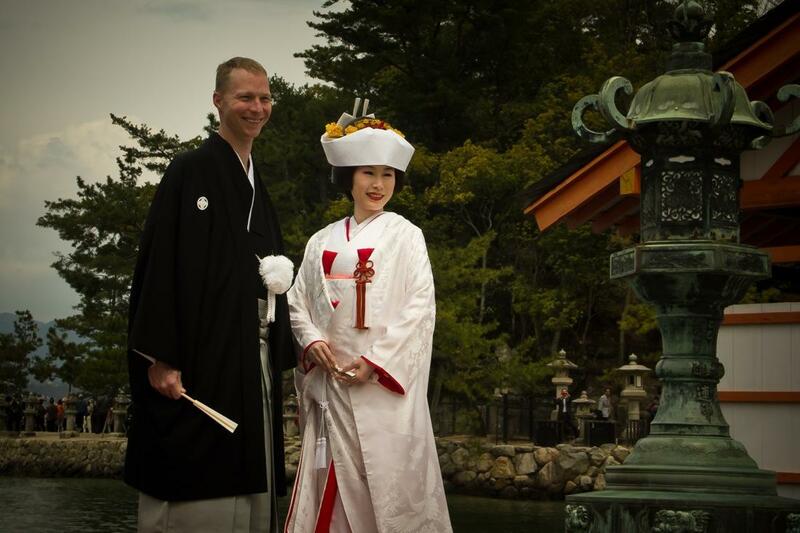 Is there a nicer surprise than seeing a traditional Japanese wedding? 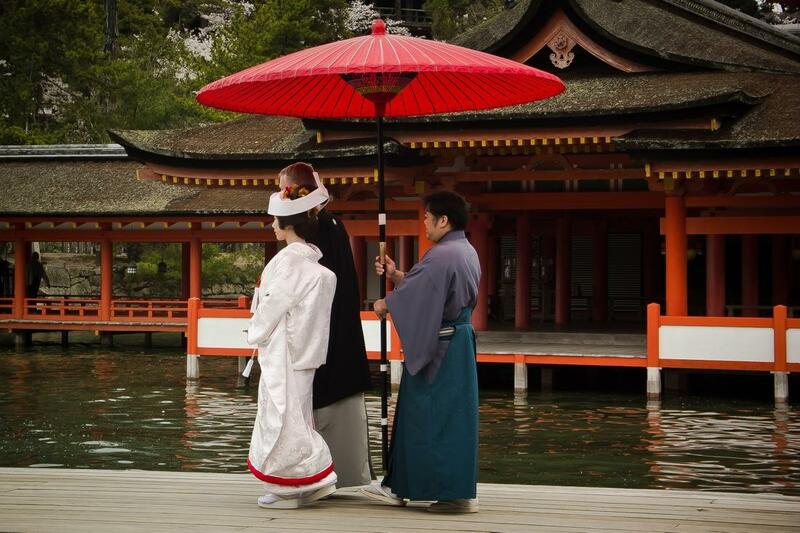 I was hoping to stumble somehow into a Japanese wedding and couldn’t feel happier when I saw the bride and groom approaching in what is likely one of the most romantic spots in Japan: the floating Itsukushima Shrine and the iconic vermilion Torii, a UNESCO World Heritage site since 1996. 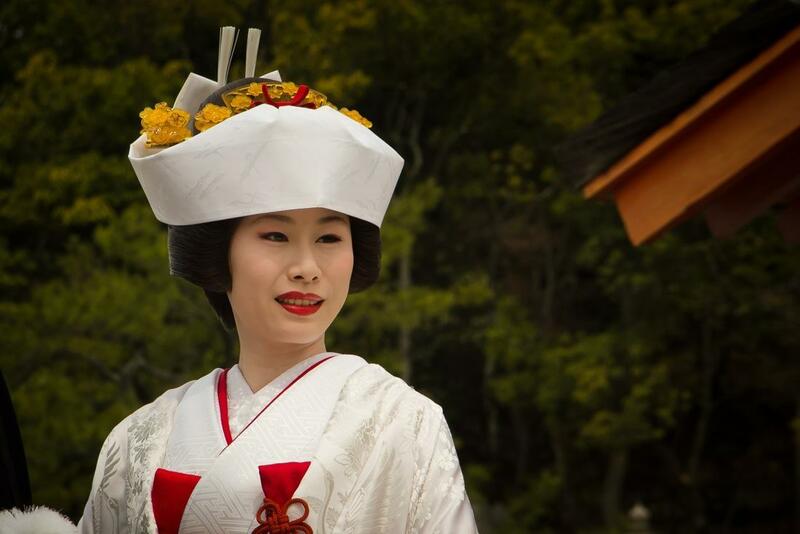 The first thing that caught my attention was, of course, the traditional costumes. As it also happens in Western marriages, all glances were directed to the bride, her elegant white dress, the exquisite hairstyle and the perfect make-up. Surrounded by their entourage of photographers and choreographers, the couple slowly walked along the shrine, stopping now and then for a shooting session. 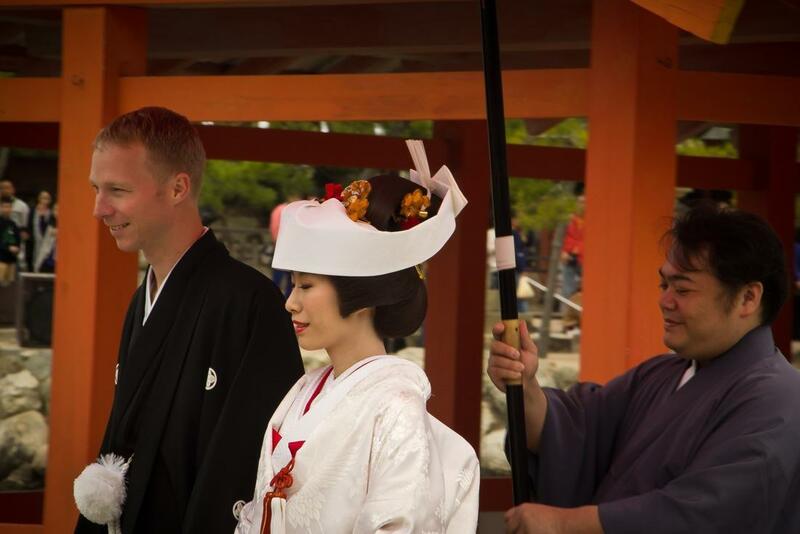 I soon realized that a traditional wedding was an excellent opportunity to discover more of Japanese customs first-hand. 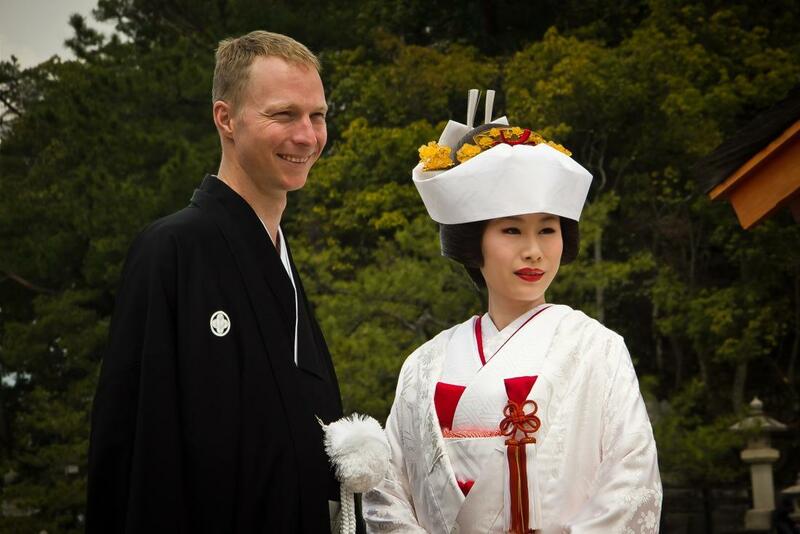 In every culture, marriage celebrations have their own rituals, and in Japan, they seemed to follow a strict protocol with little, if any, room for improvisation. Once chosen the best backdrop and before every shooting session, a man and a woman spent endless time to arrange the smallest details: moving the fold of the bride’s dress by a millimeter, adding a thin stuffing under the groom’s left shoulder pad, and so on. 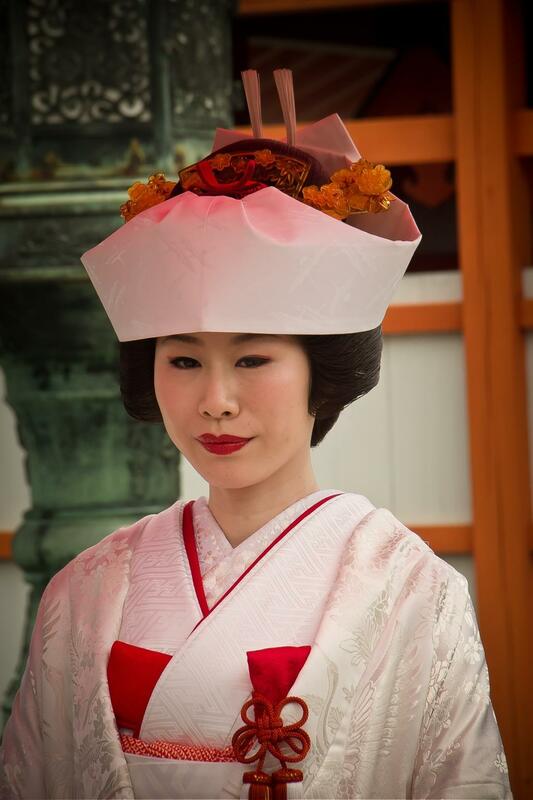 This approach would likely drive a Westerner mad, however, it epitomizes the Japanese idea of beauty, deriving from the harmony and perfection of even the smallest detail. Similarly, the bride’s attitude is rather different from the one we’re used to. Little signs of happiness or joy, no more than a rare smile. 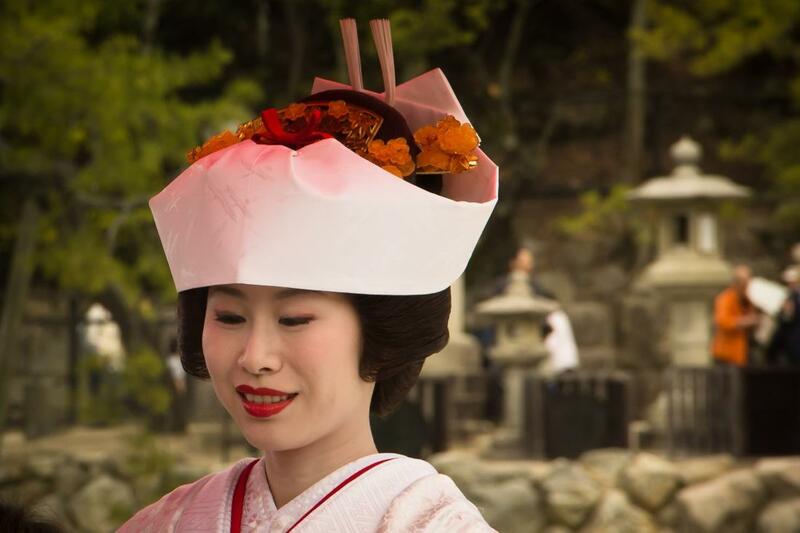 Everything in a Japanese wedding seems to revolve around the idea of composure and dignity, a moment where life and acting according to a strict script and choreography converge. 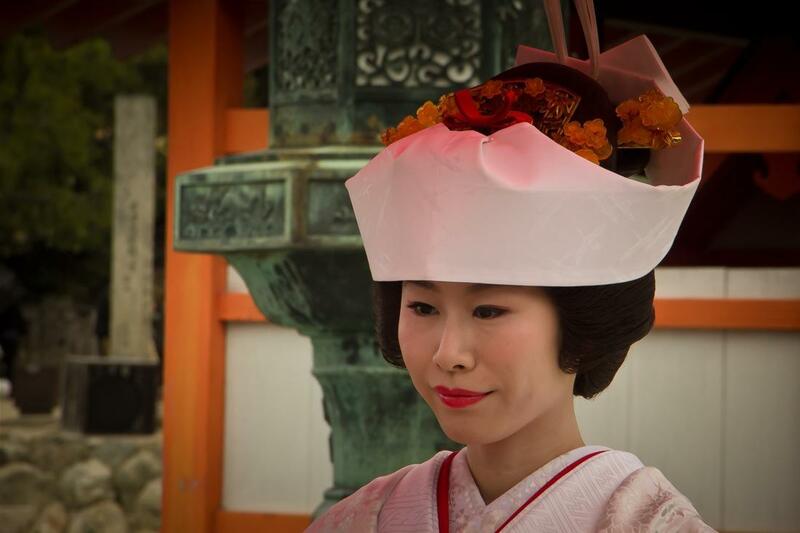 Once again, I felt intrigued by Japanese culture, willing to understand more about it. Back at the guesthouse, the first thing I did was looking for a good book on Japan and its unique traditions. After the very interesting “Yakuza, Understanding Japan’s Culture through the History of Crime ” I was soon to discover more of this fantastic country. 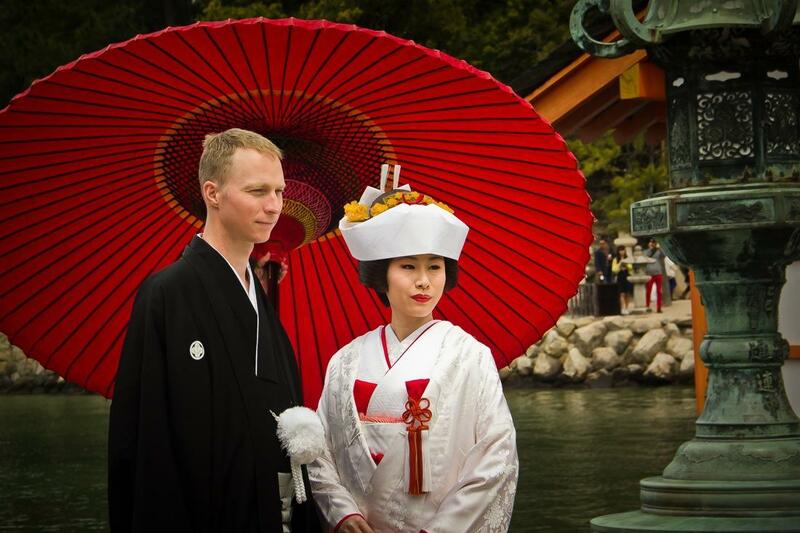 Have you ever seen a traditional Japanese wedding? 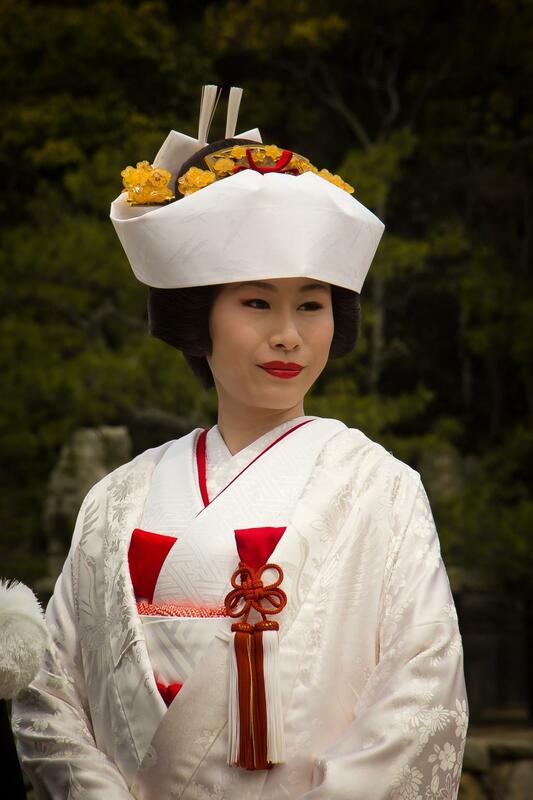 Interested in more reading about Japan? Lovely read. 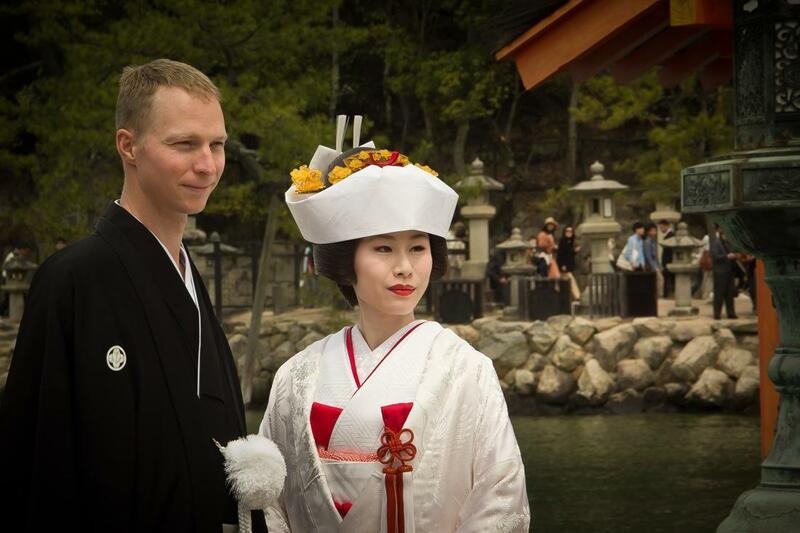 Saw a few weddings during my stay on Miyajima as well. 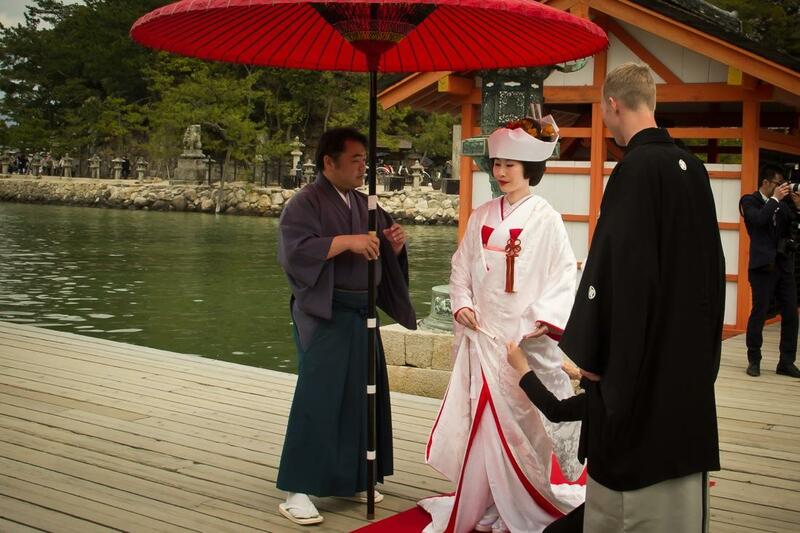 Most of them struck me as odd tho….not for the actual ceremony (which was awesome…most of them even with ga-gaku)…but cuz of the long winded photography sessions afterwards. Usually 2 cameras and 1 video guy lol!